*Professional Fees. EMI Option Available. The Govt. of India and SIDBI has launched a Credit Guarantee Scheme (CGSME) to make available collateral-free credit to SMEs. The Government of India gives special preference in buying from Micro and Small businesses through Govt. tenders. Enterprises that have MSME Registration can avail benefit of 1% exemption on interest rate on over draft (OD). Enterprises that have MSME Registration Certificate can avail Concession on electricity bill by making application to electricity department. Maximum period for payment for purchases from MSME shall not exceed 45 days, in case of delay, the buyer is liable to pay interest to the SME supplier, at 3 times of the bank rate. MSME / SSI registered businesses enjoy multiple income taxes and capital gains tax subsidies from the government. Enterprises that have MSME Certificate can avail 50% subsidy for patent & trademark registration. Enterprises undergoing a dispute with regard to payments may refer the dispute to the MSME Facilitation Council for conciliation & arbitration. There was a little bit of anxiety and doubt when I contacted them as I was from one side of the country and they were from other side and I was new to online filing and documentation process. But the service I got from them was marvelous. These guys are so professional, that I never felt to be new to them. The execution of papers, documentation and processing was first class. They finished the assignment before committed time and pricing is absolutely affordable and value for money. LET'S CLEAR ALL THE DOUBTS! MSME meaning Micro Small and Medium Enterprisesas defined under MSME development Act 2006. 2. What is MSME registration? MSME registration is the procedure to get your firm registered under MSME development Act for SME benefits. 3. What is the difference between MSME, SSI & Udyog Aadhar? There is no difference between MSME, SSI & Udyog Aadhar. There are all one and the same. Copyrights © 2006 - 2019 Startupwala Pvt. Ltd. All Rights Reserved. 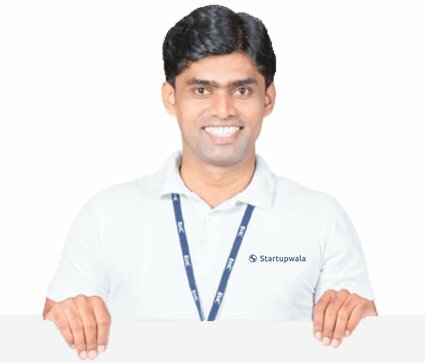 © 2006-19 Startupwala Pvt. Ltd.